Many a time, you see rashes on your skin and you overlook the causes behind the red marks appeared on the surface of the skin. Did you recently locate spiders at your home? If yes, then do not ignore the rashes which erupted on the skin. 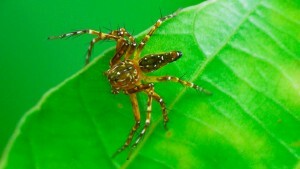 Spiders play a vital role in affecting the health of human beings. Allergies and spider bites are the major causes that turn out to be poisonous on human’s health. It is a bit tricky to figure out the spider bites. The best way is to see the puncture marks on the affected area of your skin. The bites of spiders require immediate medical attention. There are various species of spiders exist on the earth. The toxic insects consume other and enter homes through window and door frames, gaps and cracks of your house. Seek preventive measures from a reputed pest agency to eliminate spider access forever. Clog the entry points of spiders in your indoors by receiving powerful spider treatments from the technicians of the pest agency. The spider control services in WA will make use of high-powered and advanced baits and programs to prevent the access of spiders on decks, pavements, porches, basements, in the dark holes and furniture, pipes, door frames and other hidden places of your home. The infestation of insects can put your belongings and the health of your family members at a higher risk. Get rid of the toxic creatures from your nearby locations by hiring pest control services of the most trustworthy pest control company. Forestall the pest breeding in your residence and your business zone from the reliable pest agency. With the help of the expert advice, intensive pest inspection and top-rated and effective pest services and treatments, you can have 100% assurance from the trained professionals of the industry on pest extermination. Make the best use of the agency and keep baleful pests away from your living space for a longer period of time. Previous PostCommercial Property Pest Inspection: How Can You Save Money?Next PostWhy You Should Opt For Building And Pest Inspection Services?